As your elderly loved one ages, the risk of becoming lonely increases. 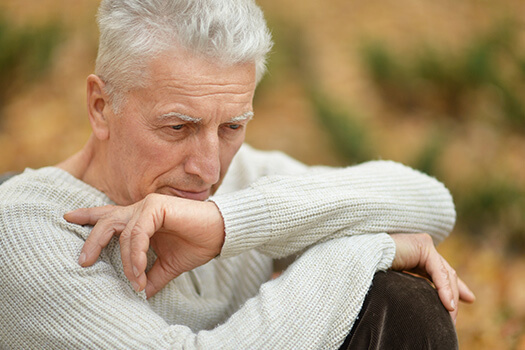 Loneliness can lead to a variety of health issues, including slips, falls, obesity, and memory loss. Here are 5 ways your senior loved one can remain socially active and stave off loneliness. Losing a spouse or loved one could increase the odds of seniors becoming lonely. Seniors are at a higher risk of social isolation during the period after their spouse or significant other has passed away. Provide your loved one with extra support during these times. Take a few days out of the week to spend with your loved one. This could make a huge difference to his or her life. Extra support can help reduce the risk of loneliness. If you are not always available to provide support to your loved one, consider hiring a professional caregiver. When considering elder home care, Oshkosh, WI, families should make sure their senior loved ones have the resources they need to maintain their independence and remain healthy. Trusted in-home care professionals can assist seniors with daily tasks like cooking, bathing, and exercise, and they can also encourage them to focus on healthier lifestyle habits. Taking care of a pet could help seniors stave off loneliness. Pets often turn into great companions. If your elderly loved one is a pet owner, he or she can remain socially engaged, feel more secure, and be less lonely. Caring for a pet can motivate your loved one to use time constructively, boost his or her mood, and possibly lower the number of medications he or she needs to take. Before giving your elderly loved one a pet, check with a doctor to make sure he or she is emotionally and physically able to care for and nurture the animal. If your senior loved one stays at home day after day, he or she is at a higher risk of becoming bored and lonely. Encouraging your loved one to take up a hobby and get involved in local activities could prevent loneliness. Volunteering is a positive way for your loved one to find a purpose. Keeping your senior loved one busy not only enhances his or her sense of purpose in life, it can also reduce the risk of isolation and loneliness. Sometimes seniors need motivation to engage in different activities, and they also want reassurance that the housework will be accomplished. A professional caregiver can help motivate your loved one and also help with household tasks. If your senior loved one needs around-the-clock assistance at home, Oshkosh, WI, live-in home caregivers at Home Care Assistance are here to help. Our proprietary Balanced Care Method was designed to promote longevity by encouraging seniors to focus on healthy eating, regular exercise, mental engagement, and other important lifestyle factors. Many seniors avoid others because they are not satisfied with their body image. Being overweight can cause your elderly loved one to feel embarrassed and avoid interacting with others, leading to loneliness. Encourage your loved one to exercise and maintain a healthy weight. In addition to building confidence, exercising could also help your loved one prevent serious health issues such as diabetes, heart disease, and strokes. Compliment your loved one from time to time. Positive comments about his or her appearance can boost his or her self-esteem. Dining with others is a great way for your loved one to stave off loneliness. Meals and family gatherings are a time for people to come together and share food, talk about life, and have a great time. Encourage your elderly loved one to attend dinners at the local senior center, dine with a church group, or join friends for a meal at a nearby café or restaurant. In addition to preventing loneliness, these social dinners can also promote better nutrition for your senior loved one. Using these tips to help your loved one stave off loneliness can also prevent medical conditions associated with cognitive decline, such as Alzheimer’s disease. If your elderly loved one is living with Alzheimer’s and needs help managing the symptoms, turn to Home Care Assistance, a leading provider of Alzheimer’s care. Oshkosh seniors can rely on our revolutionary Cognitive Therapeutics Method (CTM), an activities-based program that helps slow cognitive decline and delay the onset of Alzheimer’s disease. CTM also encourages seniors to engage with others in an enjoyable way and helps them build new routines to look forward to. Call (920) 710-2273 to speak with a Care Manager who can create a customized care plan for your loved one.